Where bike and rider become one. FRAME AND FORK: If you select a custom option, we’ll work with you to define these important measurements. They serve as the foundation of any fit and are the least changeable. COMPONENTS: The feel of SRAM is distinctly different than Shimano or Campagnolo. This is an important choice, as it’s also relatively expensive to change at a later time. WHEELS: The structural rigidity and weight of a wheelset will affect a bicycle’s feel. We’ll work with you to find the right choice. CONTACT POINTS: Saddles, handlebars, stems, pedals and more will be selected in this phase. These are easier to change if riding style changes. To schedule your fit, contact us today. Prices are for fit labor only. Parts to implement proper fit are additional and may require a service fee for install. We follow industry standard fit protocol. 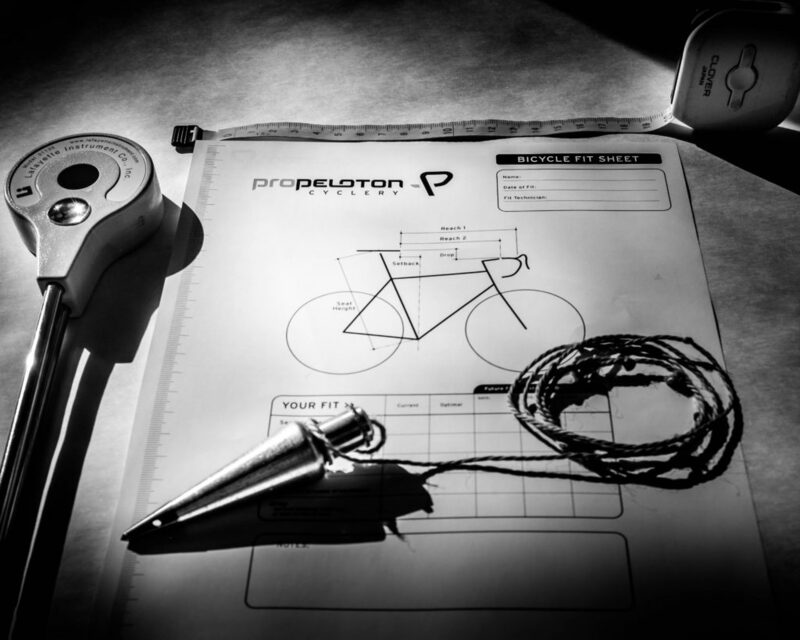 Please understand the body is also part of your bike fit, and some concerns may need to be addressed by a healthcare professional, in conjunction with your bike fit. As part of any fit, a period of adaptation to adjustments or component changes is usually required. We recommend you bring up any concerns with the fit specialist who performs your fit. If we cannot improve your riding experience, we offer a full money back guarantee.